Another week has come and gone. I can't believe the summer is almost here. Life is still crazy, but it is a more manageable crazy. I wrote an entire paragraph about the craziness, but then I decided it didn't sound like much fun to read, so I deleted it. Everything is good, I just don't want to bore you. Instead, let's talk about bookish things! 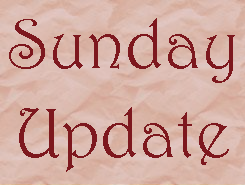 Oh wait, before the bookish things, I am going to come out of my self-imposed hiatus today. Look out for lots of comment love! :) Okay, on to bookish things! The Hugo nominees were announced last week. I am quite excited that I read two of the books (Ancillary Justice by Ann Leckie and Parasite by Mira Grant). I feel like I am in the know. If you have been considering reading The Wheel of Time series by Robert Jordan (and Brandon Sanderson), you might want to consider purchasing a LonCon3 membership. Not only will you get to vote on this year's Hugos, but you will get an electronic packet with all of the nominees. Tor Books announced that they will be providing the entire The Wheel of Time series in the packet. There was some controversy regarding one of the novels nominated and regarding block voting for some of the other categories. Some people are very angry about this situation. Personally, I am not familiar enough with the authors and works in question to have an opinion on the matter. At the same time, the Hugos have a problematic rule system (e.g., The Wheel of Time series is going against four individual novels), and the Hugos are based on the popular vote (i.e., anyone with a membership can nominate and vote), so I am not completely bothered by the controversies. All of this talk though is making me want to read all of the books that won both the Hugo and the Nebula. I figure that these books, which won both the popular vote and the committee vote must be quite good. I have read six of them, and I enjoyed them all. I received How to Tell Toledo from the Night Sky by Lydia Netzer. I was surprised to receive this book, because I requested it a while ago. The cover is really pretty. I am hoping the the book is as lovely as the cover. I picked up one book from the library this week. 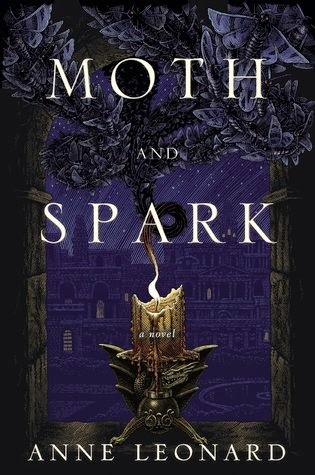 I got Moth and Spark by Anne Leonard. I am not sure, if I am going to read it, but it looked lonely on the shelf and I heard good things about it. I am just a bit tired of high fantasy books right now. 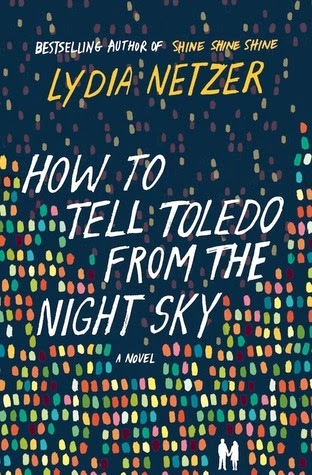 How to Tell the Night Sky from Toledo by Lydia Netzer: I decided to read this book, because there were a bunch of geeky references, one of the characters is an astronomer (my husband studies astronomy), and it had a bit of romance. So far, it doesn't feel like my usual read, but I am going to give it a bit more time. A Dance with Dragons by GRR Martin: I have passed the 50% mark! Woo hoo! I am trying to read five chapters per day. If I keep this up, I will be finished in a week. The book is interesting. I am just spoiled for a chunk of it, and I am a bit tired of the physical and sexual violence. I do want to finish this book, because I have a feeling that Martin is going to announce a publication day soon.